Bishop Abel Gabuza, 63, will be installed as coadjutor archbishop of Durban on February 10, at which point his current diocese of Kimberley will fall vacant. When he eventually succeeds Cardinal Wilfrid Napier as archbishop—which his appointment as coadjutor guarantees—he will become only the sixth ordinary in Durban since 1851. As coadjutor archbishop of Durban, Bishop Gabuza will take on the role as vicar-general, as prescribed by canon law. More importantly, as coadjutor he has the right to automatic succession when the incumbent archbishop, Cardinal Napier, leaves office due to retirement or death. Since Cardinal Napier, who will turn 78 in March, is past the retirement age for bishops, the time as coadjutor will give Bishop Gabuza an opportunity to become familiar with the archdiocese before he takes over as its archbishop. The timing of his succession will be determined by the pope, who decides when he will accept the canonically-required resignation which Cardinal Napier had to submit on turning 75 in 2016. Bishop Gabuza will not inherit the title of cardinal, which is awarded to individuals. Bishop Gabuza will succeed unusually long-serving heads of Durban archdiocese: Cardinal Napier has been archbishop of Durban since 1992. His predecessor, Archbishop Denis Hurley, headed the archdiocese for 45 years. 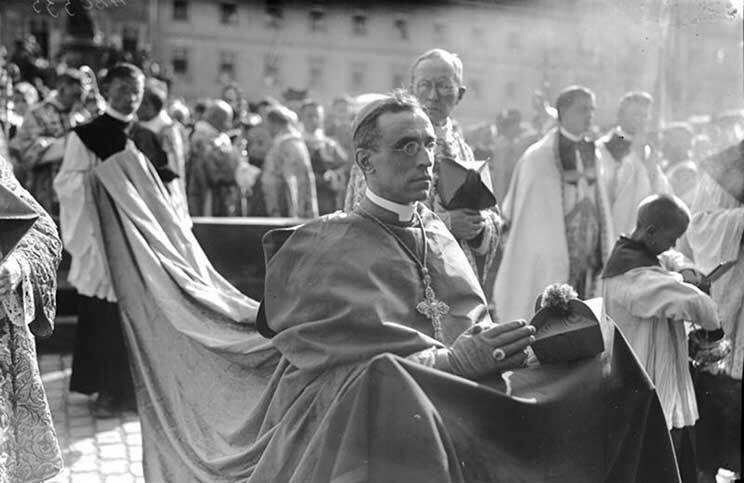 Before him Bishop Henri Delalle served for 42 years (from 1903-46), and Bishops Charles Jolivet and Marie-Jean-François Allard for 29 and 23 years respectively. Bishop Gabuza was appointed bishop of Kimberley by Pope Benedict XVI on December 23, 2010. He was ordained a bishop on March 19, 2011. Ordained a priest in the archdiocese of Pretoria on December 15, 1984, Bishop Gabuza was the first of three successive vicars-general of Pretoria to be made bishops. His successors, Bishops Dabula Mpako and Victor Phalana were appointed to Queenstown and Kimberley respectively in 2011 and 2014. After the sudden resignation of Archbishop Paul Mandla Khumalo in November 2009 and the appointment of Archbishop William Slattery in December 2010, Bishop Gabuza led the Pretoria archdiocese as apostolic administrator. Before becoming Pretoria’s vicar-general in 1999, he also lectured at three seminaries, and served South Africa’s orientation seminaries in Pretoria and Cape Town as rector from 1991-94. He told his faithful that he is apprehensive about the move from a largely rural Kimberley diocese to the more urban archdiocese of Durban, wondering whether he will “have the stamina to venture into a new environment with all its complexities” and whether he will meet “the high expectations that accompany the position”. He noted that Durban is a complex area. “Basically, there are two categories of Catholics: those who prefer things as they are and those who are crying for change, a new vision and a new dream of being a Church in these challenging times,” the next archbishop of Durban said. Much as the new appointment is daunting, through prayer and interior strength he has begun to “dig deeper” and “eliminate what can hold me back”. The archdiocese of Durban is numerically South Africa fifth-largest diocese (after Johannesburg, Mariannhill, Cape Town, and Pretoria), serving around 161000 Catholics, compared to Kimberley’s 150000, according to the last available Catholic Directory (2016-16).